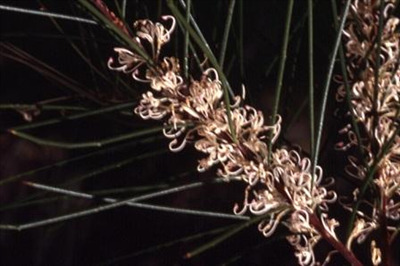 Medium to tall shrub with weeping branches, needle-like leaves and white profuse flowers in winter/spring. Hardy to drought and moderate to heavy frost. Requires well-drained soils in full sun or partial shade position. Excellent landscape plant, screen or windbreak.